Space weather is dangerous. Rogue high-energy particles fired off by the Sun can damage radio communications and electronics (including voting machines) here on Earth. By altering their DNA, the radiation can also be a true health hazard to astronauts and even airplane pilots. NASA operates a slew of space weather prediction systems, but many have been around for several decades and have various drawbacks. Space-based systems might only send their data back once every few hours, after a particle storm has happened. They might also only take pictures of the Sun every 20 minutes or so, failing to provide enough information to make precise and accurate forecasts. A team of American scientists, however, think they’ve figured out a simple warning system that could help astronomers make forecasts just a few minutes after a weather-causing solar event happens. 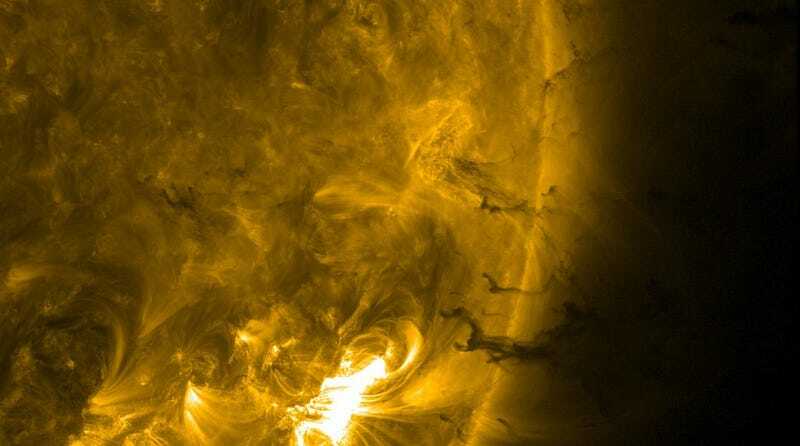 “You get the notice in a few minutes instead of hours or days later,” Chris St. Cyr, a solar scientist at NASA Goddard Spaceflight Center, told Gizmodo. The new method relies on coronagraph data sent to the forecasters in real time. 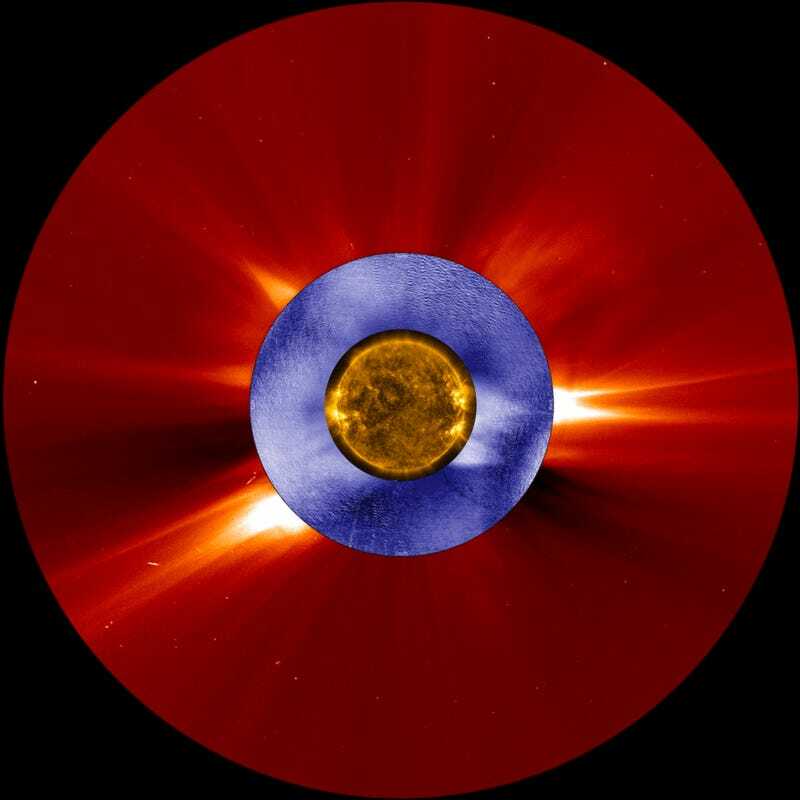 Coronagraphs are simply telescopes that block parts of the Sun so scientists can see what’s happening on the surface, including coronal mass ejections (CMEs), sudden releases of high-energy particles. St. Cyr and the other scientists realized that the K-Cor coronagraph at the High Altitude Observatory on Mauna Loa in Hawaii could observe these events as they happened. Once they process a lot more data on how CMEs relate to the resulting particle storms, St. Cyr thinks they’ll be able to increase the amount of warning time for astronauts and electronic systems potentially affected by the particles. According to St. Cyr, the biggest advance is probably just the updated data stream between the observatory in Hawaii and the National Center for Atmospheric Research in Colorado. Data now gets from Mauna Loa to the research center in about a minute. Ultimately, the paper the scientists published last month in Space Weather is just a blueprint for such a forecasting system. The complete setup would require a CME data alert to human forecasters. They could determine whether the event is worth a warning or a full-on alert and would notify organizations like NASA to hold off on any activity the weather could effect, like a launch or satellite maneuver. The method might seem simple, but St. Cyr said it hasn’t been combined into a solar weather prediction system before. “It’s been thought, ‘Gee, if only we had a coronagraph in real time that could do this,’” he said, adding that everybody “will say ‘of course’” to the study, but that a real-time data stream wasn’t possible until now. I’ve reached out to other scientists to see if they’ll say “of course.” Either way, here’s to keeping our boys and girls in space safe!